A dock is a narrow platform or structure extending toward the water from the shoreline. A dock may provide access to moored watercraft or deeper water for swimming, fishing, and other recreation. The structure is not used or intended as a manna. *Based on Minnesota Rules, Chapter 6115.
damage, and a snow-covered structure over the ice poses a hazard to recreational vehicle users. The blue box to the left lists installation guidelines for docks and access struc¬tures like boat lifts. These guidelines are intended to minimize impacts on water resources and shoreline habitat. 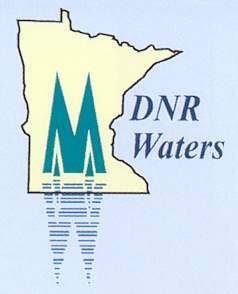 If you follow these guidelines, no permit is needed from the Department of Natural Resources (DNR). Local units of government may have additional dock rules related to public safety and other local issues and should be contacted. A shoreline owner may request a permit to install a dock wider than 8 feet. The permit applicant must show a specific need and show that the wider dock represents the minimal impact solution to that need. Docks serving single¬family homes or residential planned unit developments generally will not need a dock wider than 8 feet. Public docks and mooring structures that are otherwise not serving as a marina may need to be a wider structure and will be reviewed individually. Docks that have no permit and that exceed the 8-foot-wide limit are subject to enforcement action, including a citation, an order to remove the dock, and fines for both the landowner and the dock installer. 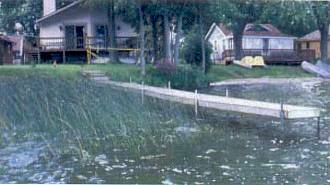 Design and locate your dock and boat lift to avoid interfering with your neigh¬bor's use of the water. Docks and boat lifts should be placed so that mooring and maneuvering of watercraft can normally be confined within the property lines if they were extended into the water.